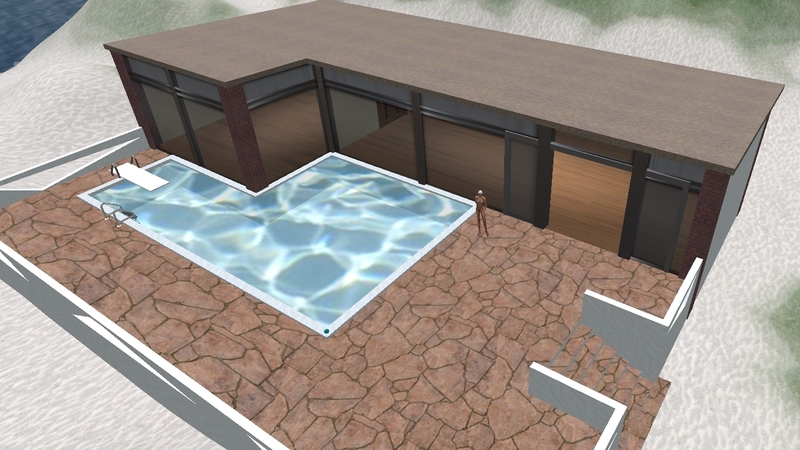 I wish you good luck with your efforts in creating a new naturist home. We need all the good quality naturist locations that we can get. I’d like take this opportunity to mention it here first, that Elbag has decided to begin the creation of Eden 2 (or whatever name we finally decide to give it). This one will be entirely under his ownership so there won’t be any repeat of the disaster that befell the original Eden. I have seen the plans and they are as awesome as they are ambitious. He wants to make it the best residential and public naturist experience that SL has to offer. We’ll start small with just a few sims and the project may take a year or more as the estate slowly grows back to its original size in phases, but knowing Elbag, once he gets an idea in his head, things usually happen a lot faster than you expect. Howie writes…’although I was going to slip back into the shadows, Brenda, my preferred place while other more talented writers man the frontline, I felt only I could answer this one. Neither Gigi nor Flo will have had as much experience of eden as I, having held a home there for several years. Realistically I’ve NOT found a proper naturist home. It’s a skybox that looks like the old home, and its presence allows SLN to continue. But it isn’t Eden. There is unlikely to be little interaction with ‘locals’ (as there aren’t any) which is the antithesis of the naturist credo for me. Naturism = sociability. Even in virtual form, you aim for that interaction with other avatars and currently I, and the SLN staff, simply have a presence that isn’t home, or remotely anything like it. But neither did I feel comfortable paying rent to a sim that has been devastated since you and Elbag were usurped. It over-praises it to even describe it as a shadow of its former self. It feels like some deliberate attempt to destroy what was great. Flying over it in my last days there the extent of the devastation was apparent. I’ve no idea where all the tenants went, but it feels like it has haemorrhaged people since the coup d’etat. Howie writes… ‘I agree Chris. Where I am now is a short-term fix, simply to keep SLN rolling on. I’ll be near the front of the queue when Brenda and Elbag get back to providing the BEST naturist SL experience. And Brenda, if you’re reading, let SLN know when your are back in business so the girls can report, visit, review and bask in the new HQ I’ll set up when you are up and running!